Two legendary and timeless icons of rock music—Slash and MXR Innovations—have teamed up to deliver the Slash Octave Fuzz. 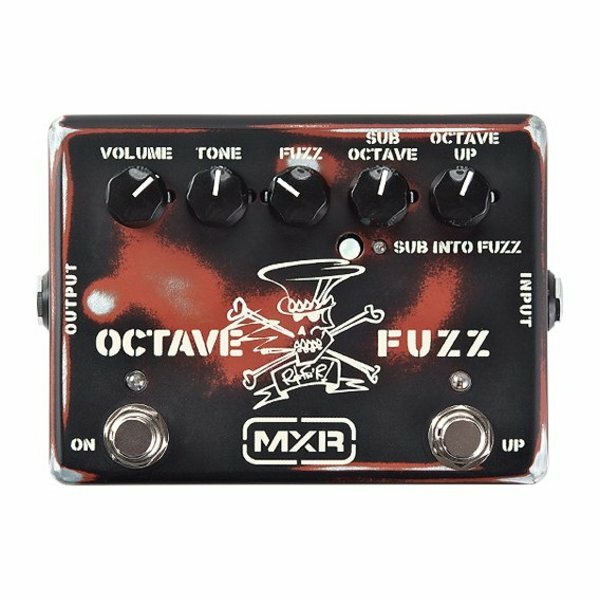 It features a searing Fuzz tone coupled with a separate Sub Octave voice and an Octave Up Fuzz, all for thickening up your tone with a sinister growl. 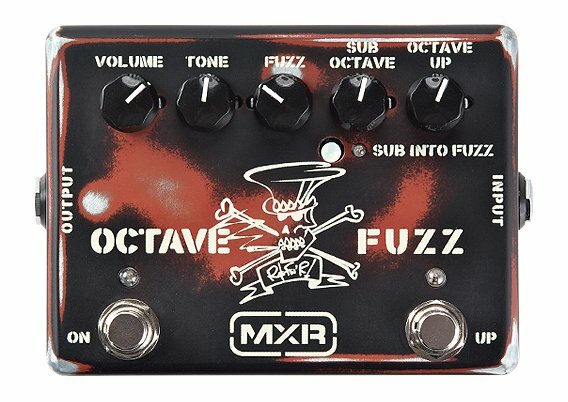 With an array of external and internal controls, there are numerous ways to combine the main Fuzz effect’s thick ’70s shag with the chainsaw grind of the Octave Up Fuzz and the warm growl of the Sub Octave. Internal Gain and Tone pots shape the Octave Up Fuzz effect. Featuring custom Slash artwork and a distressed hot-rod paintjob, the Slash Octave Fuzz features all analog circuitry, true hardwire bypass and comes in a heavy duty housing with durable jacks and switches.